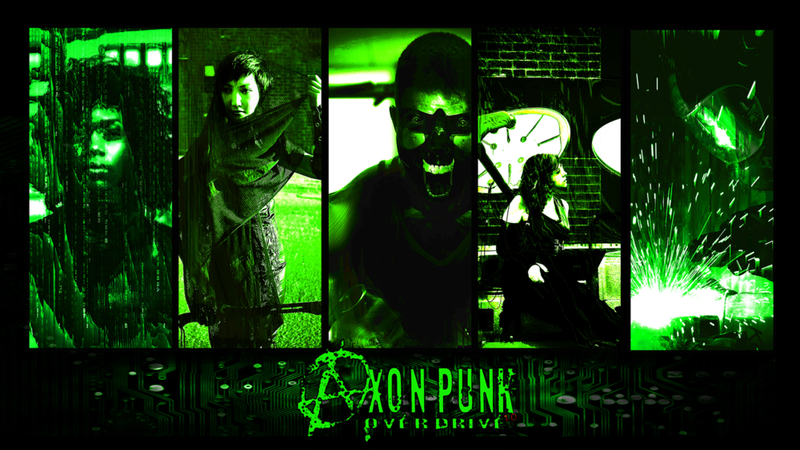 Axon Punk, is a tabletop RPG where you and your friends play a team of hackers, AI, engineers, cyborgs, and others that are trying to be forces of change as the great war of global inequality rages on the streets around you. The game’s theme, rules, art, and pacing are heavily inspired by hip hop and classic cyberpunk. In the gritty megacities of 2085, the streets are full of music. You can feel the pulse, the beat, the rhythm of people and buildings pressing in on you under the gray sky. Everything changed when affordable digital-neural interfaces became marketable to the public and humanity expanded into the Net, a globally accessible 3D, internet interface. Fueled by unimaginable new power and advertising access on the Net, international megacorporations called Zaibatsu have surpassed the power of national governments in most countries. After two brutal cyberwars ravaged the world, the corporations divided up the planet and built walled-off Corporate Sectors to protect themselves from future uprisings. Everything outside of the Corporate walls is considered a “Civilian Zone.” Comprised of overlapping and primarily anarchistic Communities, the vast majority of the world’s populace lives in some form of a Civilian Zone. Players are encouraged to work together and are actively rewarded by the rules for doing so with a game mechanic called "Rhythm," which allows players to roll dice together on difficult tasks. Axon Punk also includes a dynamic and flexible combat system designed to allow unique fighting styles. The complete game is tied together by grounding the story in the Community that the player's characters live in the megacity. Players are able to add their own ideas to their Community and see how their choices during play, cause the Community to change over time. Heavily focusing on the local community in the game, gives play a grass-roots feeling that greatly enhances the hip hop flavor that is a vital component of Axon Punk.